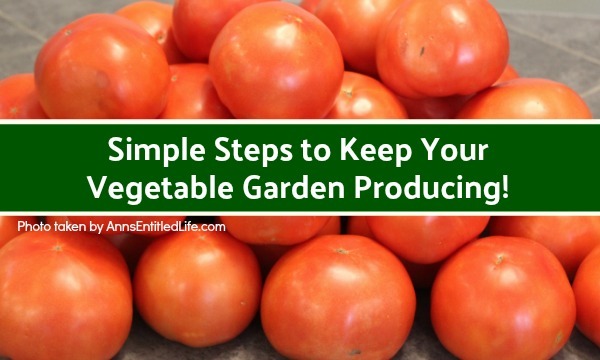 Simple Steps to Keep Your Vegetable Garden Producing! Make the most of your growing season with these simple tips! 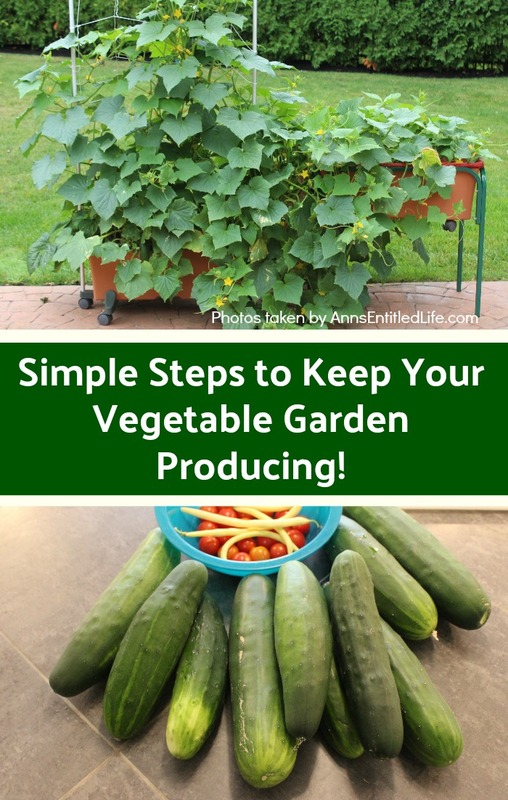 Easy, yet effective steps you can take to keep your home vegetable garden happy, and producing, all season long. In the early stages of spring, it seems that we spend a lot of time and energy planning and planting our gardens. We are all hyped-up for the spring growing season and thrilled to be out in the garden. As the year progresses though, we sometimes run out of steam – either through lack of production, turning our energies toward different endeavors, or, we just lack time to dedicate to our garden (life happens!). So, how do we keep our vegetables at optimum production as the growing season moves forward? Whether you have a traditional garden plot, patio planters or boxes, or raised beds, there are some basic practices that keep your garden looking sharp as well as providing your vegetables with their best chance at peak production. • Beginning with your soil mix, before you sow seeds or sets your transplants, consider what your soil looks like. For vegetables, it should have about one-third compost mixed in to provide nutrients all season long. If your soil is particularly sandy or heavy clay, you can even mix in a greater quantity of compost. Well-rotted manure can be incorporated, up to about ten percent of your soil. This mix will allow you to spend minimal time on fertilizing your garden during the summer. I use a potting soil mix (Miracle Grow brand), some lime, and plant food in my earth boxes. • For more on soil, you may want to read about these 10 Common Household Items to Use as Garden Fertilizers! • You will also want to discourage any competition for nutrients or sunlight. The main competitor is weeds. Unless you would like to spend all summer pulling weeds out, try to weed early, and often. This way they do not go to seed and perpetuate the cycle. Here are some great tips for weeding your garden. • Keep a watch out for garden pests. These come in many forms – buggy pests and rodents. These 5 pest repelling plants can help! • Tomato Hornworms can clean a plant of leaves in just a day or two. By looking for signs of an infestation, and reacting quickly, you can keep your vegetables in peak production all season long. If you find just one or two pests, you can probably manually pick them off the plants, but larger infestations will require serious treatment. There are many beneficial insects that can be released before an infestation to control pests, too. 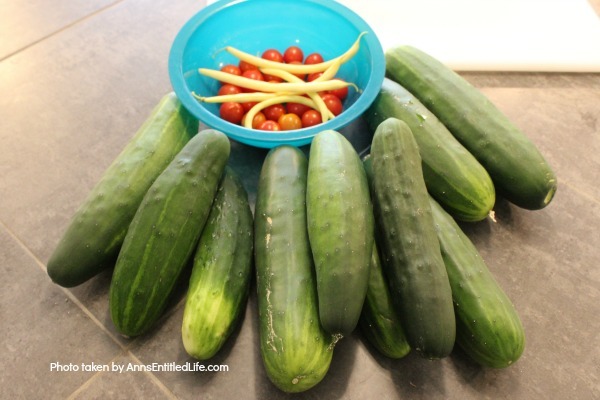 • During the summer when your plants are at their peak, keep the ripe produce picked. Plants grow to produce seeds and flowers. If you have more produce than you can handle (amd are not in a position to freeze or can), pick off some of the blooms. It should not hurt future production but will eliminate some of the harvest in the meantime. For leafy plants and annual herbs like basil, keep the flower heads nipped off, and your plants will continue to produce leaves. • Also, in the heat of summer, water is very important to vegetable growth. If your garden is not getting enough water naturally from rain, you will need to supplement it with a hose. Lack of water can not only kill plants but will cause vegetables to split or shrivel. If your plants are wilting, water them. You may enjoy these practical tips to save water in your garden. 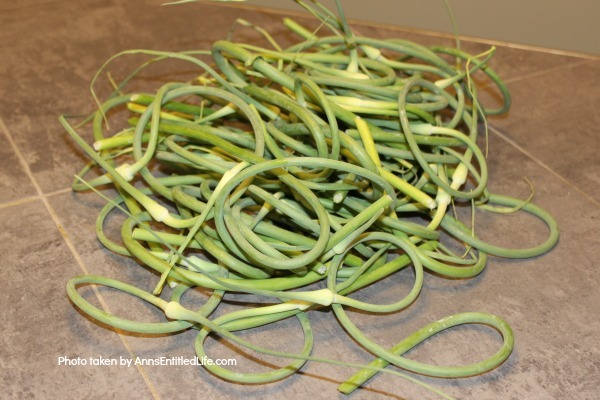 • As your garden starts to wane in late summer, remember to replant those sections where the harvest has been completed. If you planted short-season crops, plan to fill in their space with something else after they have been harvested. 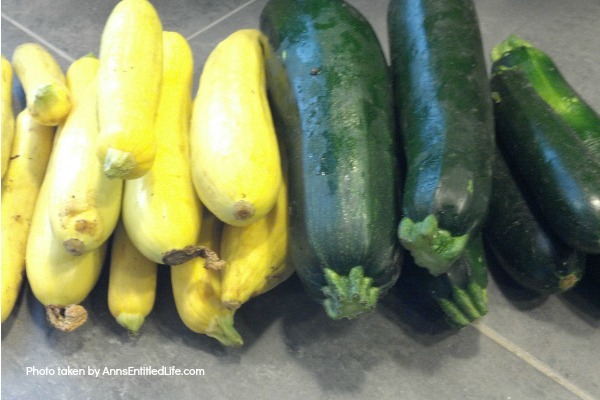 Here are some vegetables that are perfect to plant in late summer for a second harvest! • As the weather turns cooler, you can also use some bed covers to keep your plants producing. This can be a plastic tent over the plants, cold frames over your raised beds, or even moving some of your plants into a greenhouse for the winter. 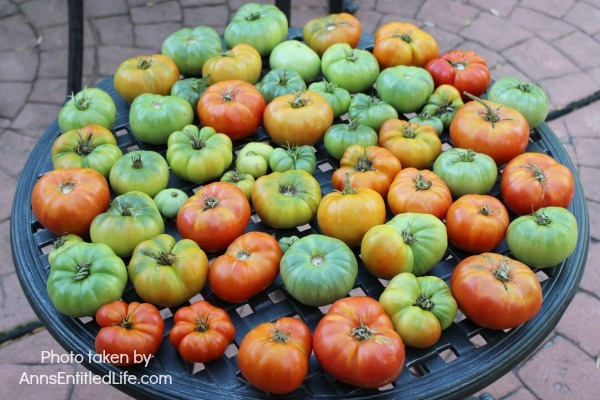 If the weather has turned too cool for tomato plants to set fruit, pick the green ones that are still on the vines, and let them ripen indoors. You can keep your vegetable garden producing all season long by starting with a good soil mix, a little planning, and routine garden care.